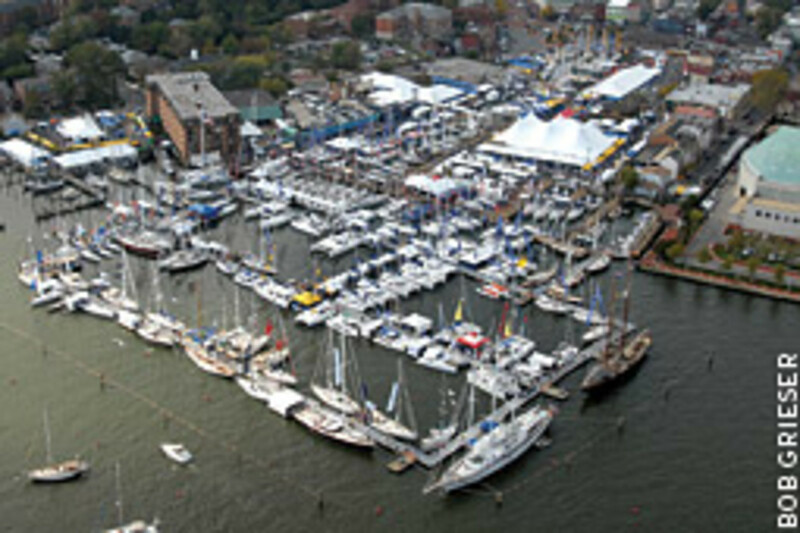 Realistically, there was no chance that Doug Cunningham and Mark Lavenberg, sailing pals from New Jersey, were going to buy new boats the October Thursday they hit the floating docks at the boat show in Annapolis, Md. 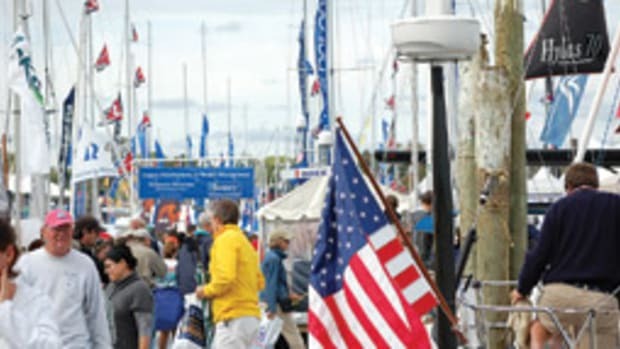 Like many — but by no means all — of the visitors to annual United States Sailboat and Powerboat shows, they came with more blue-sky dreams than greenbacks they were willing to part with. 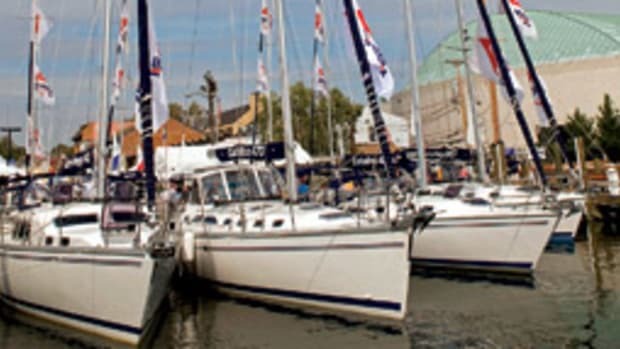 What was certain, however, as they charged toward the 250 sailboats in the water that day (there were 450 powerboats in the same water the following week) was that the boats they would buy would look nothing alike. 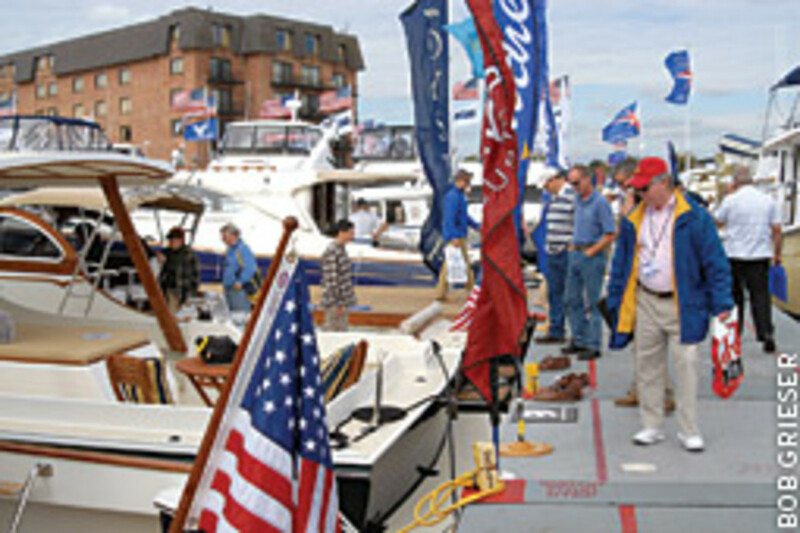 Another part of the plan in taking in a boat show with his buddy is to have fun. “I had a great time, and I learned some stuff,” Cunningham says. 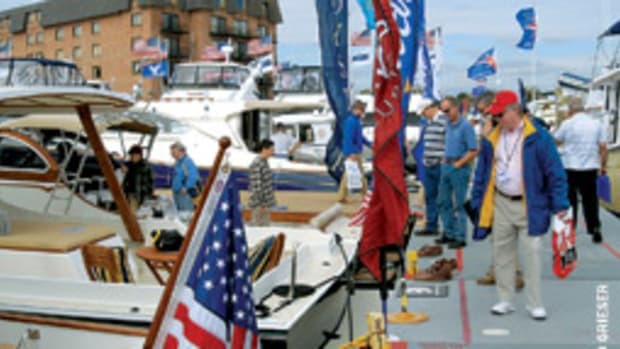 There were about 48,000 visitors to this year’s sailboat show, slightly off from last year’s attendance, and about 40,000 visitors to the powerboat show, a 15 percent decline, according to Bonnie Seidelmann, a spokesperson for the events. That would be the last time the friends would agree on a boat. Take, for example, the Finngulf 46. “It was like a foreign-built Catalina,” says Lavenberg. “They make these boats look like race cars, they’re so aerodynamic. 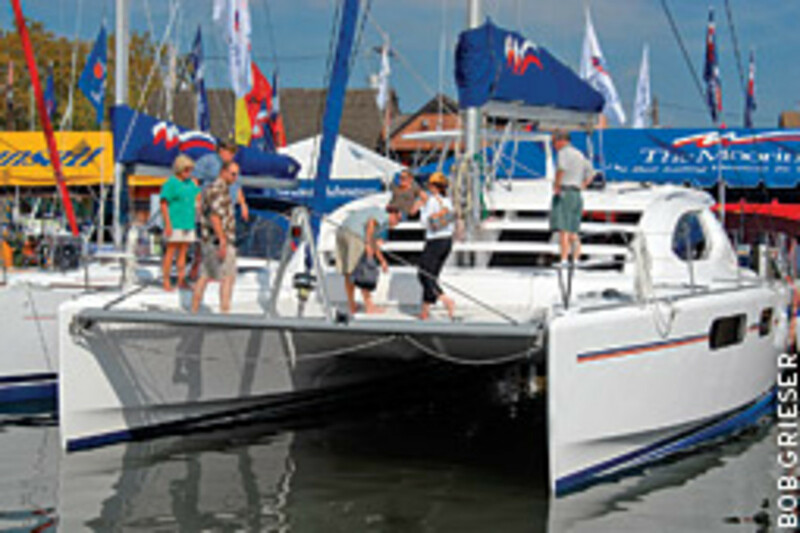 But they still only go 8 knots.” The low cabin top, with its minimal amount of things to grab hold of or enough cabin tip to brace against while heeling, would make him feel exposed. “I didn’t think it would be the boat I would want to get caught in rough water with,” he says. Moving along the docks, the pair took off their shoes to board the Cabo Rico displays. Cunningham went aboard the Pilot 47 and found it “gorgeous” even though it wasn’t a boat he could see himself ever owning. Lavenberg, who is a big man, demonstrated on some of the other boats he boarded how he could make the floorboards sag under his weight. That is one of the subtle tests to which he put each boat. When the men arrived at the Seaward 32RK, Cunningham boarded, and Lavenberg went searching for a quote on a new sail. 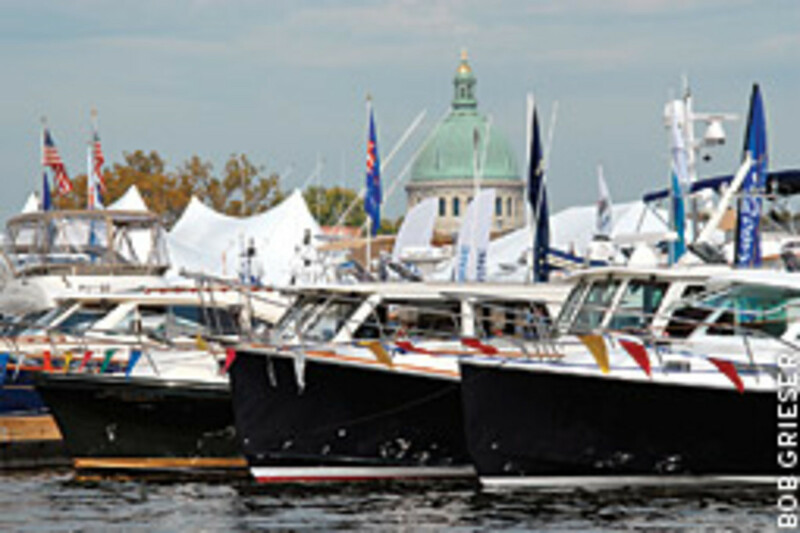 Cunningham found a lot to like in this, the lowest-priced cruising boat they had inspected, with a boat-show sticker of $138,300. “First of all, for the waters we sail on the East Coast, you need shoal draft. It has that dagger board,” Cunningham notes. “I think that was a great idea.” The “dagger board” is a retracting keel, which gives the boat a draft ranging from 20 inches to six feet, six inches. Boarding the Sun Odyssey 42DS, Cunningham had an issue with the access from the cockpit to the deck, but Lavenberg, who had spent much of the day on massive blue water boats, dove down the companionway of this sleek European with large, elliptical ports. 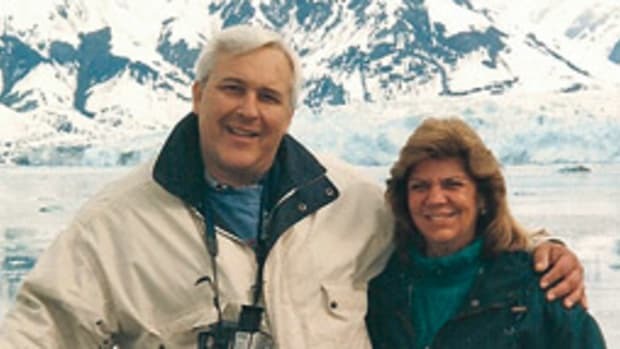 “Believe it or not, that boat was nothing but fun,” says Lavenberg. “You have to ask yourself ‘What are you going to do for sailing?’ ” If you’re going to stay in protected waters, Lavenberg says, this would be the boat. With its open areas below deck, the 42DS “was the kind of boat where you would feel great entertaining people,” he says. “To me, that was one of the best-looking boats in the entire show. It wasn’t hiding any punches. ‘I look fast and I look sharp and that’s what I am. I’m not an ocean cruiser,’ ” Lavenberg says, speaking for the boat. Big, maybe, but not buying. Later, Lavenberg went for a pair of binoculars in one of the shoreside booths. Cunningham considered a 4-stroke outboard. It was a good deal, but he postponed the purchase. Maybe later, he says.